Lumia 950 & 950 XL two affordable phones in smart-phone industry is now available on Amazon with a price drop. 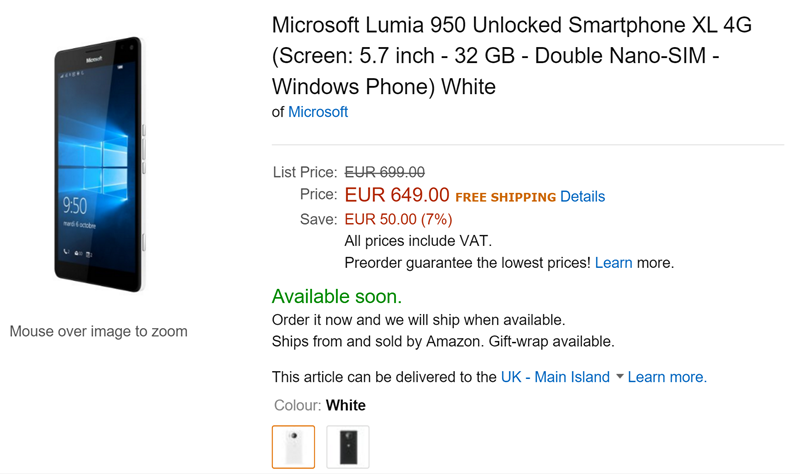 Amazon France is now offering the Lumia 950 for 562.6 Euro, 35.51 Euro down from the earlier 599 Euro price, and are also offering the Lumia 950 XL for 649 Euro, a full 50 Euro down from the earlier 699 Euro price. Let us know if you are buying it on the comments below......!